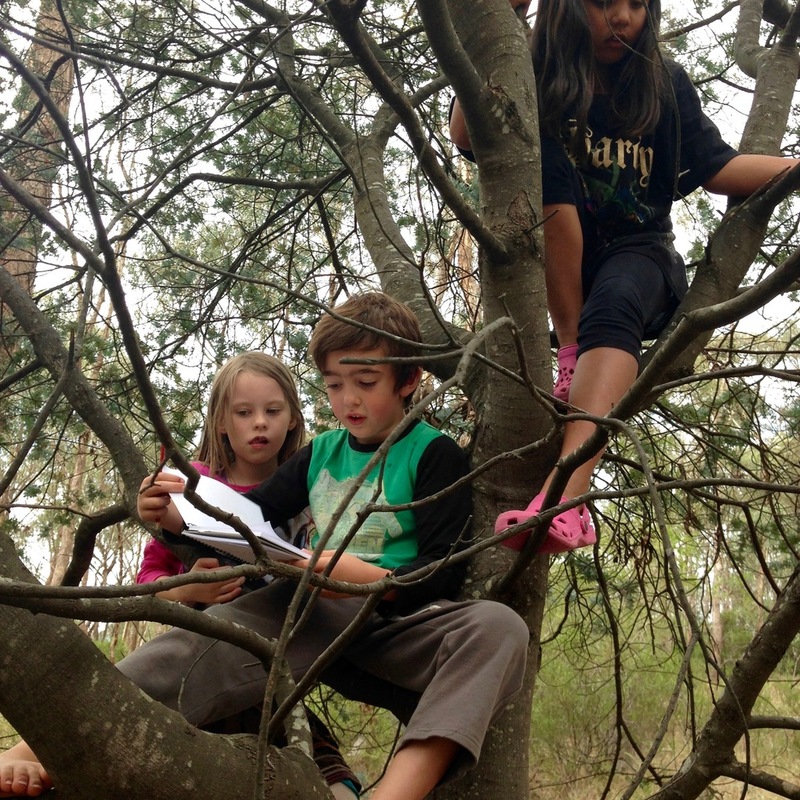 The Learning Co-operative is a parent run, alternative primary school situated on beautiful bushland close to Hurstbridge, Victoria. Established in 1973, the Co-op school is a community of families and teachers committed to providing a flexible, child-centred curriculum where children make choices about what and when they learn and parents present activities that support children's interests. Our bushland, both at school and further afield, is an important learning environment, creative inspiration and playground. The Co-op has a flexible, child-centred curriculum, with parents as well as teachers, planning and presenting activities, providing resources and organising excursions that support the children’s strengths, interests and passions. The Learning Co-operative was set up by a group of local parents and education innovators from Latrobe University as an alternative to the education systems that were available at primary school level. The Co-op values play and child-inspired learning. Activities and projects provide opportunities for parents and children to participate and learn together. Excursions, bush camps and visitors to the school enhance this shared experience of learning. Natural curiosity and passion are at the heart of both the teaching and learning philosophy at the Co-op. We start every term talking to each child about their interests and passions and together work out a plan to implement and resource their individual and group learning paths. We have a rich resource with so many adults involved in the daily activities at the school. Children are able to pursue their interests for days at time if they want to. We currently have the constant sound of string instruments playing inside, while outside a new cubby is being built in the bush and maths is being learnt with twigs and leaves. Another group is playing with mud and water and the art table is busy. STEM subjects are incorporated into the daily program and we have a strong performing arts program, with the children enthusiastically performing a Shakespeare play each year. The Co-op is situated on the outskirts of Hurstbridge, about 30km NE of the centre of Melbourne. The buildings are nestled amongst 7 hectares of bushland, with adventurous play equipment, cubbies and plenty of space to play. There is an abundance of creative garden spaces, a chook shed and an organic vegetable patch. We strongly believe in environmental guardianship. We actively incorporate the principles of sustainability into school life and promote these ideas to the wider community. Since its beginnings, parents have been responsible for the management of the Co-operative. Responsibilities include participation in the teaching and learning at Co-op, administration and maintenance. Two full-time teachers/coordinators are employed by the Co-operative to provide a stable, caring framework within which parents and children can operate with a sense of order, security and continuity. We are committed to the process of consensus, where each individual believes that their opinion, thoughts or feelings are respected, acknowledged and validated and they have an obligation to both express and articulate their needs and views and listen to others do the same. A group of parents willing to spend at least half a day per week with the children. Vote for our community nursery! Interview the children and involve the parents. Try to match the children's interests with those of the parents. Communication between teachers, parents and children.